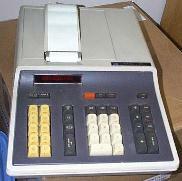 I am interested in collecting old calculators and computers, which you can read about here. Other things I'm looking for are listed here. 17B 9990A00095 Financial LCD from 1987 with an unusual serial number. 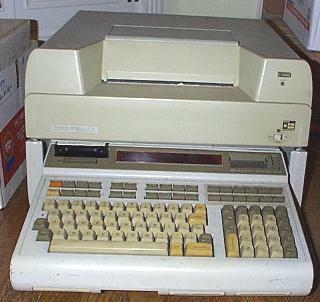 This unit has option 004, "Printer" and two plug-in ROMs, "Mathematics" and "Printer Alpha"
The 9821 is basically a 9820 with a tape drive. This unit has option 003, "1447 total registers" and three plug-in ROMs, "Peripheral Control I", "Peripheral Control II", and "Mathematics". I did manage to find a service manual specifically for this machine. Click here for more information about the keyboard. 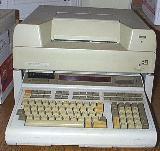 Click here for an article from 1980 about the HP-85.